A seven-year-old boy who reviews toys has beenrevealed as YouTube's highest-earning star, raking in$22m. The estimate by Forbes magazine found that Ryan ofRyan ToysReview pipped Jake Paul by $500,000 forthe 12 months to June. Ryan's earnings, which do not include tax or fees charged by agents or lawyers, have doubledcompared with the previous year. 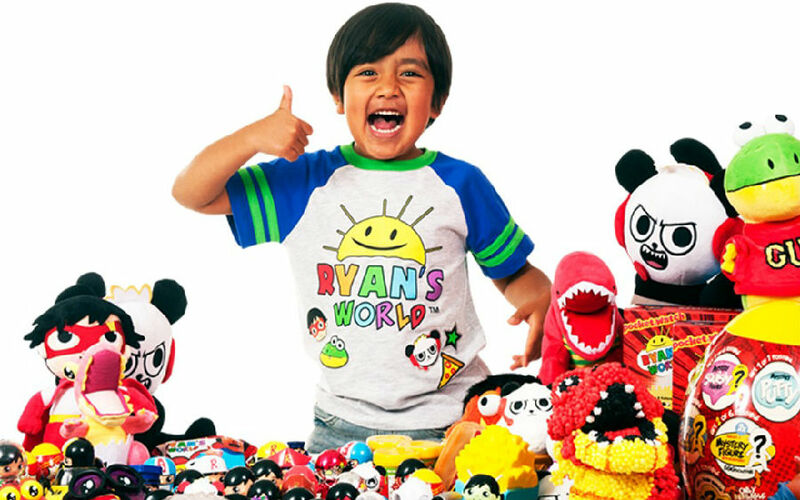 In August, Walmart began selling an exclusive range of toys and clothing called Ryan's World. The revenues from the Walmart deal are set to substantially increase Ryan's total earnings nextyear. As he is still a child, 15% of Ryan's earnings are put into a bank account that he can onlyaccess when he becomes a legal adult.